Thank you for your interest in the Imperial Dragon Tang Soo Do Karate School. We are pleased to be able to offer the highest quality martial arts training available provided to you by certified Black Belt instructors of the World Tang Soo Do Association. 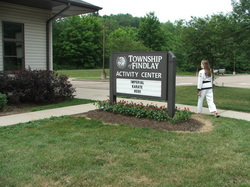 There are many programs and services available at our martial arts studio. This site will provide an overview of some of the programs that we offer, as well as, some guidelines we have established to make sure that each student is able to maximize the benefits of their training. We look forward to helping you to develop a stronger body, a sharper mind and an indomitable spirit through the study of the martial arts. All the Black Belts at our studio started as beginners just like you. They know the benefits that can be achieved through the study of the martial arts. I encourage you to introduce yourself to them and do not hesitate to ask them about the positive changes they have seen while training at our school.